The USB-C VGA Multiport Adapter lets you connect your Mac with USB-C or Thunderbolt 3 (USB-C) ports to a VGA display, while also connecting a standard USB device and a USB-C charging cable. The USB-C VGA Multiport Adapter allows you to mirror your Mac display to your VGA-enabled TV or display in up to 1080p HD. It also outputs video content like movies and captured video. 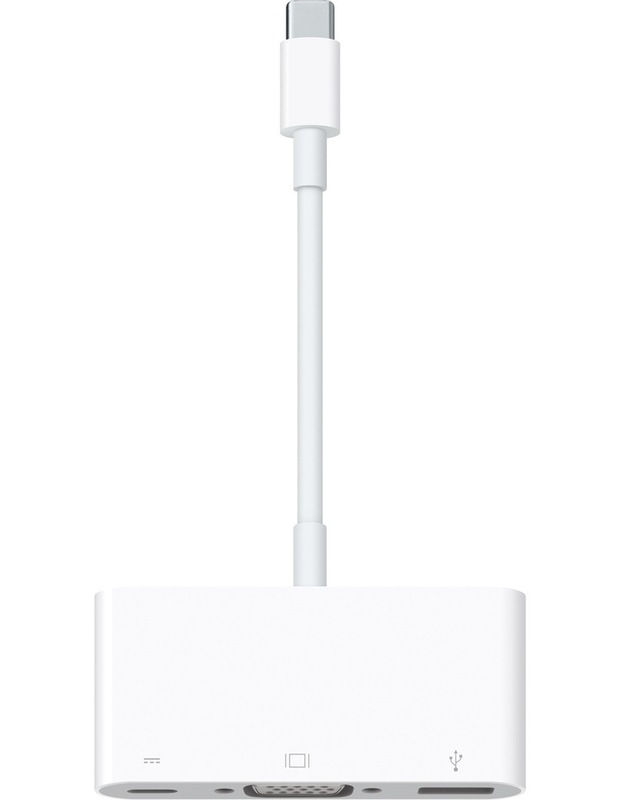 Simply connect the adapter to a USB-C or Thunderbolt 3 (USB-C) port on your Mac, and then to your TV or projector via a VGA cable (sold separately).